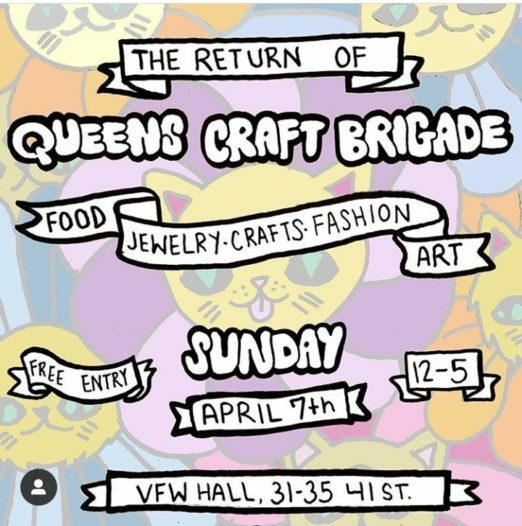 Your favorite neighborhood artisans are back this Sunday, April 7 for the return of the Queens Craft Brigade (QCB)! For those who don’t know, QCB is a group that puts on markets with the best craftspeople from our borough featuring artwork, food, jewelry, fashion, crafts and more. Over 25 local, Queens-based small businesses are all under one roof at the same time. Some highlighted vendors include: Flattopps Astoria x Comfortland x Queens Comfort; Bench Flour Bakers; Frank Ape; Widycat; Paige’s Candle Co; Key & Arrow Leather; Simply Sweet Ceramics and MANY more! You can see the full list of vendors and RSVP to the market here. 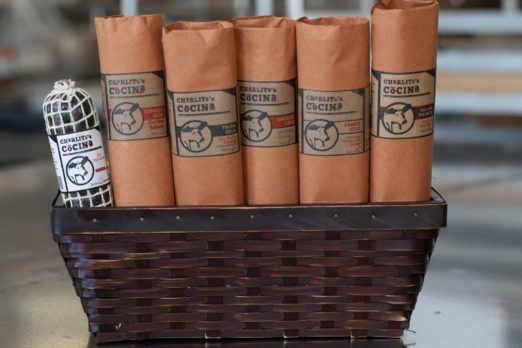 Seems like one new vendor at the event is Charlito’s Cocina, a small producer of hand-crafted charcuterie, with a specialization in dry-cured salamis. Yummmm! The market will take place from 12 to 5 p.m. at the VFW Hall at 31-35 41st St. Also be sure to follow QCB on Instagram and Facebook for more updates! Which truly local products are YOUR favorite?